The digital camera era has given birth to the most prolific community of photographers ever. 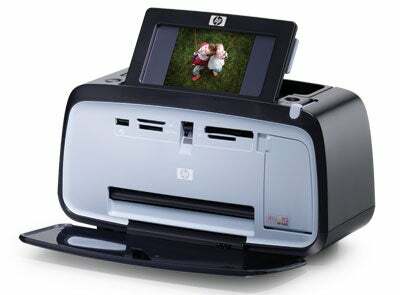 And along with the increasing number of digital shooters comes a greater demand for photo printers. But how can you make quick prints of your photos to hand out to friends and family at special occasions, such as weddings, graduations, or parties? And what if you aren’t too tech savvy and don’t wish to deal with complex image-editing programs and glitchy software drivers? That’s where compact photo printers come in handy. Designed for portable convenience, compact photo printers are single-function devices dedicated to printing photos quickly and easily on the spot. Most compact models are smaller and lighter than standard photo printers, and they’re primarily built to print 4-by-6-inch snapshots. Though these miniature printers can connect to your Mac, they feature memory-card readers, push-button control panels, and LCD screens, among other tools, to spare you from having to deal with the software drivers required for printing from your computer. Since compact photo printers are made for special occasions and purposes, their designs are highly innovative compared with those of standard printers. Some models include a carrying handle for convenient transport, while others feature a touch screen and stylus to make photo printing easier and more fun. Aesthetically, these printers look rather interesting: they can resemble a boom box, a car battery, or even an egg-shaped kiosk. While the concept of compact photo printers is simple and straight-to-the-point, in reality they vary greatly in terms of features, purpose, and performance. Even if you just plan to print photos at home, the ease of use and flexibility these smaller printers afford may compel you to purchase one anyway. We compared five compact photo printers—the Canon Pixma mini320, the Canon Selphy CP740, the Epson PictureMate Zoom PM 290, the HP Photosmart A626, and the HP Photosmart A826—for quality, speed, features, interface, and design. Print quality is the single most important criterion for deciding on a printer. And from this standpoint, the Epson PictureMate Zoom PM 290 came out on top, earning a Very Good rating from our Macworld panel of experts for both color and black-and-white photos. Using a four-in-one ink-jet cartridge—which combines cyan, magenta, yellow, and black (CMYK) inks into one unit—the PictureMate Zoom produced crisp and clear photos, with accurate colors and excellent shadow detail. The Canon Pixma mini320, which earned a Very Good score for color photos, came in a close second for print quality. The mini320’s colors and shadow detail were also impressive, but overall its photos looked a little less refined than those printed from the PictureMate Zoom, presumably because the mini320 uses a three-in-one ink-jet cartridge (which doesn’t have any black ink). The mini320 also can’t print photos in black and white, which dampens our enthusiasm for the device. Next in line was the Canon Selphy CP740, one of the few dye-sublimation compact photo printers on the market. Dye sublimation—dye sub for short—is an older printing process that uses heat to transfer images onto printable surfaces such as photo paper (see “What Is Dye Sublimation?” on the final page). The CP740, like most dye-sub printers and some ink-jets, mixes cyan, magenta, and yellow (CMY) to simulate black. There are upsides and downsides to the CP740’s print quality. An upside is that dye-sub prints look a bit more realistic: because the printing process doesn’t leave ink dots, photos look more natural, with consistent tone and color. But the downside is that the absence of black ink tends to give prints a dark, flat appearance. The dye-sub printer’s ink ribbon contains CMYO (as opposed to CMYK); O stands for overcoating, a laminate that protects photos from discoloration. I preferred the Epson PictureMate Zoom’s four-color pictures. The two HP ink-jet printers, the Photosmart A826 and A626, produced photos that were identical in quality and were the least impressive of the batch. Since both printers use a tricolor ink cartridge, they too suffered from overly dark prints, similar to the CP740’s. But the dark prints from the A826 and A626 looked especially blotted, with strange outlines—a flaw that’s most visible under bright light. Our panel of experts gave the same ratings for both printers: Good for color photos and Fair for black-and-white prints. To test speed, we timed how long it took each printer to print one 4-by-6-inch color photo and five 4-by-6-inch color photos at best-quality settings. True to its name, the Epson PictureMate Zoom turned in the speediest results, taking 42 seconds to print one 4-by-6-inch photo and 3 minutes and 9 seconds to print five 4-by-6-inch photos. The Canon Selphy CP740 was the second-fastest printer, taking 1 minute and 15 seconds to print the single photo and 5 minutes and 18 seconds to print the five photos. The Canon Pixma mini320 came in third, taking 1 minute and 17 seconds for the first test and 6 minutes and 56 seconds for the second test. The two HP printers were slower than their competitors.